NVIDIA has published a new set of graphics drivers for the release of the video game Killing Floor 2. This new GeForce Game Ready driver ensures you’ll have the best possible gaming experience in Killing Floor 2. 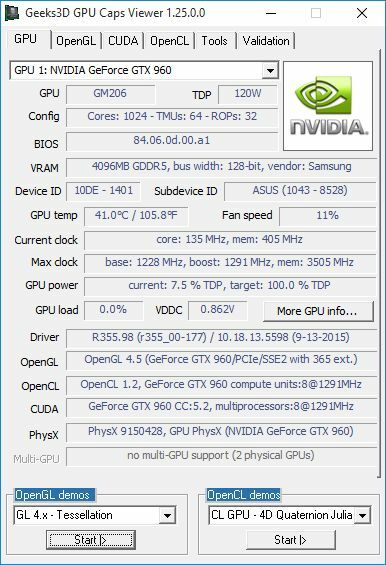 This driver is also aligned with the new flagship gaming GPU for notebooks, the GeForce GTX 980. In addition, this Game Ready driver also includes updated features and functionality for the GameWorks VR software development kit (SDK). More information about R355.98 can be found HERE. R355.98 supports all available GeForce from the GeForce 400 Series to the latest GeForce 900 Series. R355.98 is an OpenGL 4.5 / OpenCL 1.2 driver and exposes all recent OpenGL extensions including OpenGL 2015 ones. The complete of all extensions for a GTX 960 on Windows 10 64-bit is the same than R355.58. OpenGL 2015 extensions added to mainline drivers.